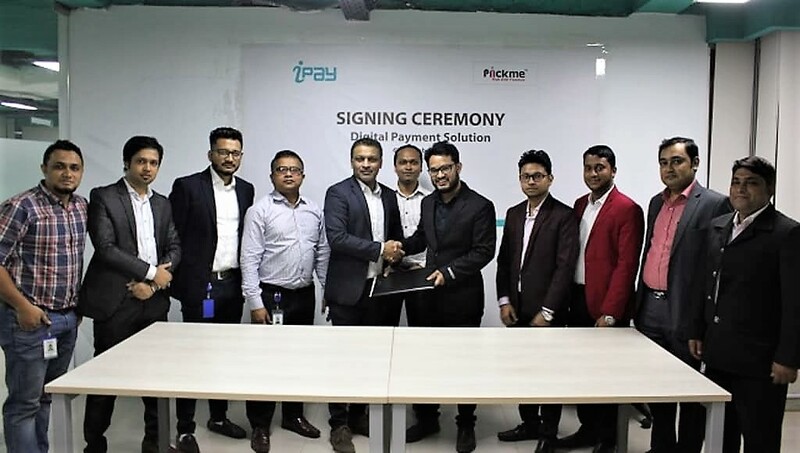 Ridesharing app Piickme signs agreement with iPay Systems Limited | iPay Bangladesh: A free e-wallet & secure payment platform. (Priyo.com) Ridesharing app Piickme signed an agreement with the country’s first E-Wallet iPay Systems Limited. Under this agreement, all the services provided by Piickme can be enabled and paid through iPay seamlessly and cashless without any worry for change during rides around town.The ceremony was held on Thursday, 6th December, 2018 at 4:00 P.M. at the iPay Systems Ltd. HQ located in Gulshan. The ceremony was witnessed by representatives from both companies. Founder and CEO of Piickme, Omar Ali Raj, COO Amit Chakrabortty, Project Director Md.Sazal Hossain, Director M H Rakib & Business Operations Manager Shariful Islam Tareq and Head of Merchants Raihan Faiz Osmani, Head of Operations Saiful Alam Kabir and Manager of Strategic Business Development and Partnership, Syed Taslim Mahmud from iPay were present during the ceremony. iPay systems limited is the first digital service wallet provider in Bangladesh with license provided by Bangladesh Bank as Payment Service Provider (PSP). Members can easily download the App from Apple Store or Google Play Store to sign-up and then get verified to start transaction.Moreover, members can pay their bill, send money to their bank accounts or add money to their iPay wallet from their bank accounts, send money request to their friends and family and also top-up mobile bill.